Our Junior Member of the Month for December is Sarah Eizenman. Sarah is 5 years old and has been nominated for being our first Mayfair Junior Member to complete a full page of her Junior Club Passport! Sarah is always full of energy and participates in a lot of different activities at Mayfair West. Whether it’s swimming lessons, participating in camps or doing Kidspace activities like Pumpkin Carving, she always has a smile on her face. We look forward to having her join us each time! Congrats Sarah! You rock! Join us for our annual Holiday Marketplace! A great way to check out local vendors just in time for the holiday season! Friday, November 30 runs from 7:00-2:00pm and Saturday December 1 & Sunday, December 2 runs from 9:00-4:00pm. We will also be hosting a silent auction where all funds raised go directly to the Children’s Wish Foundation. Contact Laura Tichonchuk via email at westcoordinator@mayfairclubs.com for more information. We are excited to let you know that we will be opening the new Mind & Body Studio and the Wellness Spa and Sports Clinic on December 10, 2018. Be sure to stop by the club and experience the new space! Here’s a round-up of what special activities you can expect on opening day! The West Wellness Spa and Sports Clinic will officially reopen on December 10! Be sure to come by for a visit, see the space and book an appointment! As a token of our appreciation for your support over our period of transformation, we would love to invite you to enjoy a complimentary breakfast followed by some special classes in the new space. Please let us know if you can make it! We are also excited to let you know that Mayfair West Member and owner of Your Nexxt, Axelle Vaughan, will be onsite throughout the day giving a demonstration on her exclusive, environmentally friendly, cork yoga mats. The November session began on Monday, November 6th but you can still sign up for January! This is your chance to play singles matches and be grouped with players based on your tennis rating. Box winners will receive monthly prizes and there will be session prizes handed out in at the end of each three-month session (Oct. to Dec., Jan. to April) for the players with the most points and for those who played all their matches. The cost to join is $30 + HST (which covers participation from October to April) and registration forms will be available at the front desk. For more information, contact Josh Weissman at jweissman@mayfairclubs.com or at extension 4245. Mayfair West will have a variety of Ladies’, Men’s and Mixed Doubles Leagues for players of various skill levels. Ladies Leagues are available Tuesday, Wednesday and Thursday from 10:30am-12:30pm for home matches. Mixed Leagues are available on Saturday afternoons from 3:30-5:30pm for home matches. Men’s Leagues play from 5:30-7:30pm for home matches. If interested, please contact our Tennis Coordinator Danny D’Aleandro at extension 4232 or via e-mail at westtennis@mayfairclubs.com. The finals are here! Come watch and cheer two team matches of Doubles & Singles on 4 courts. Seating opens at 6:00pm with matches starting at 6:30pm & 8:30pm. The Mayfair Toronto Pro League is the only professional Tennis Prize Money League in Canada. It features the GTA’s top Tennis Pro’s, NCAA & CIS players and occasional ATP player. Spectators will enjoy court-side seating, food & beverage service, sponsor promotions & events, door prizes and much more! Whether you are a player, spectator, or sponsor…you will love the Mayfair Toronto Pro League. Find more information on the website! This December 7, fill your child’s P.A. Day learning specific sport skills and drills. Morning, afternoon and full-day options available, as well as lunch options for morning and full-day campers (at an additional cost). Swimming is included in the afternoon session for a refreshing end to a fun-filled day. Member pricing is $55 for full-day camp, $35 for half-day camp (non-member pricing available as well). To sign up, contact Laura Tichonchuk at westcoordinator@mayfairclubs.com or at extension 4248. Camp registration forms are also available on our website. 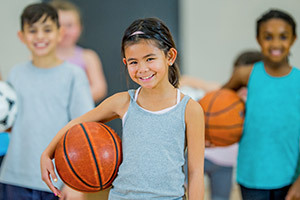 This Holiday Break, fill your child’s days with learning specific sport skills and drills. Morning, afternoon and full-day options available, as well as lunch options at no additional cost. Recreational swimming is included in the afternoon session with the option for instructional swim (at an additional fee). Member pricing is $85 for full-day camp, $55 for half-day camp (non-member pricing available as well). To sign up, contact Laura Tichonchuk at westcoordinator@mayfairclubs.com or at extension 4248. Camp registration forms are also available on our website. 45 min| Saturday | 11:30am – 12:15pm | Catalina S.
Join us for our new family yoga class. A yoga class designed for you & your child to participate together that combines partner work, balance, and coordination. Each session is 11 weeks in our new Yoga Studio at a price of $165 (for one parent/ guardian & child). Parent or guardian must be a Mayfair member. For every additional child you wish to bring, it is an additional $33 to overall fee. Sign up is required in advance; no drop in available. Contact Laura Tichonchuk at westcoordinator@mayfairclubs.com or at extension 4248 for more information. Registration forms are available on our website. This upbeat class will challenge you with boot camp exercises, sprint drills, circuit training, HIIT and boxing. Sign up today and feel the #power! Complimentary for members! For more details or for non-member participation, contact Kerry Lloyd, Fitness Manager at (416) 638-1010 ext. 4225 or klloyd@mayfairclubs.com. Our Elite Group Training for Teens is a small group setting that focuses on the proper execution of exercise movement. Class includes: dry land functional training using connexus perimeter unit, kettle bells, sandbags, battle ropes and TRX suspension training specific movements. Participants must pre-register via online login. *Class schedule subject to change pending registration. For more details, contact Kerry Lloyd, Fitness Manager at: (416) 638-1010 Ext. 4225 or klloyd@mayfairclubs.com. Functional Spinal Health is a class that promotes overall joint health but pays specific attention to spinal health. You may notice an improvement in joint mechanics, increased blood flow, reduced pressure on the discs of the spine, reduction of pain, spinal disc re-hydration, better muscle tone, improved posture and a general sense of well-being and awareness. Come try this amazing class. See the full group exercise schedule at mayfairclubs.com. This is a fun, high-energy class. This class provides an ideal combination of the aerobic requirements of a step class with the endurance demands of a body sculpting class. See the full group exercise schedule at mayfairclubs.com. This is a high-energy interval circuit class that combines Cardio & Strength, Flexibility and Core work for a full body workout. Not to be missed. See the full group exercise schedule at mayfairclubs.com. Bronze Medallion and Bronze Cross programs are designed for all candidates who are seeking the lifeguard challenge. Bronze star candidates must be 12 years old. Bronze Medallion candidates must be 13 years of age & Bronze Cross candidates must be 13 years of age and have their Bronze Medallion and Emergency First Aid. To register, contact Sally at westaquatics@mayfairclubs.com. Registration is currently open – limited spaces available. Our preschool levels are designed for students from ages 2-5. Students work on their floats, glides, flutter kicks, side breathing, front & back swim. To register, contact Sally at westaquatics@mayfairclubs.com. Our swimmer levels are for all swimmers ages 6+. Swimmers are taught the proper swim techniques and skills. Our swim instructors work with each child individually to make sure that they are taught proper swimming skills and techniques. Each student will be working on progressive steps throughout the session in order to accomplish the swim levels. Private classes, semi-private classes and group lessons are available. All classes are either 30 minutes, 45 minutes or 1 hour. To register, contact Sally at westaquatics@mayfairclubs.com. Semi-private classes and/or group lessons are available. This program focuses on all stroke improvements, sprints and endurance changes. Participants will complete challenging skills sequences, covering all swim strokes and some pre-lifeguarding skills. To register, contact Sally at westaquatics@mayfairclubs.com. This course is for students who has completed all swim levels and are looking for a challenge. Swim patrol training puts your child en route to Lifeguarding. To register, contact Sally at westaquatics@mayfairclubs.com. Bronze Medallion and Bronze Cross programs are designed for all candidates who are seeking the lifeguarding challenge. Bronze star candidates must be 12 years old. Bronze Medallion candidates must be 13 years of age & Bronze Cross candidates must be 13 years of age and have their Bronze Medallion and Emergency First Aid. To register, contact Sally at westaquatics@mayfairclubs.com. This program is designed for swimmers who have completed all swim levels and want to improve their overall physical fitness in the water. The swim team provides a structured approach based on training principles and practices. Participants will be encouraged to set their own goals through interval training. To register, contact Sally at westaquatics@mayfairclubs.com. This adult program has been designed for swimmers of all levels. The focus of this program is to teach everyone according to their swim ability and to improve swim strokes, techniques. Each student is taught accordingly to their needs. To register, contact Sally at westaquatics@mayfairclubs.com. Participant must know how to swim. The master swim program is for individuals seeking an alternative to conventional fitness or to add to their current fitness routine. The program is designed to enhance competitive swimming abilities, improve swim stroke technique and personal fitness. With proper training, you will build up your endurance so that you can swim continuously without stopping. You will also improve swim strokes and breathing through drills. To register, contact Sally at westaquatics@mayfairclubs.com.